I think everyone has met the Super Mario Bros at some stage. Mario, the loveable Italian plumber has jumped into our lives numerous times over the years since his first appearance in Nintendo’s Mario Bros back in the ‘80s. 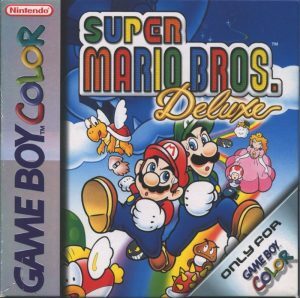 For many gamers, including myself, Super Mario Bros Deluxe (the 1985 GameBoy version) was one of the first games to get us hooked. As someone who did not even own a GameBoy in the early 2000’s I would frequently rob my best friend’s console specifically to play Super Mario Bros. The plot to the game is no different to any of the Mario games released in more recent years: The Mushroom Kingdom is in trouble, and Mario is sent to defeat the evil villain Bowser to stop his Koopa Army from causing complete destruction. The game has eight worlds where the player controls Mario as he jumps from pipes, uses power-ups, and runs across the stages to reach the flagpole at the end of each level. Up until quite recently Super Mario games have followed this formula pretty strictly. As someone who started playing these games at a young age, it’s amazing to see how far Mario has come. With the recent release of Super Mario Maker, in which fans can create their own Super Mario levels, it really shows that Nintendo has progressed alongside the gamers, and know exactly what it is that we love!